I enjoy staying here. The location is very central. The front desk staff and cleaners have amazing customer service. Very basic rooms, but cozy. The amenities are fantastic if you are looking to stay for a while. Thanks for the great review Jack. Thanks for noting our great location and friendly staff. Sorry you found your heater not to be working, Any issues can be fixed straight away if brought to our attention. A little bit expensive, there are two shower rooms and two toilets in the dormitory room. Toilets or shower rooms separate from bed room, so it is convenient. If you want, We can use kitchen at anytime, but no tea and coffee. It is the central of the city and near the Metro station. You can walk to Glasgow cathedral and Kelvin museum from there. It takes about 30 minutes. Thanks for taking the time to review us. Thanks for noting our great location. The kitchen is self catering so tea/coffee making facilities are available to use but we don't provide tea/coffee. within walking distance from the bus station and close to the city center. my 14 female dorm was really clean & neat, had sufficient space for walking, individual cage lockers below the beds, good heating, individual charging points/reading lights for each bed. my favourite part was the ensuite bathroom facilities; there were 2 showering rooms, 2 toilets, 2 sinks. these are all located separately across the room so there is no need to wait for others if you want to only use one of the facilities. Thanks for the great review! Thanks for noting our brand new Crable Shelf Station! I missed my flight so I have to do late check out. I sent a message to the hotel via Agoda, telling that I will do late check in. When I arrived at the hotel, the receptionist told me that the room has been given to someone else and there is no vacant room for me. I also asked for public toilet or shower so at least I can change my clothes, but they don't have it as well. In the end, I didn't have any chance to stay in this hostel. Very disappointed. Marcella, apologies you didn't get the chance to stay with us. We do ask if any changes need to be made to your booking that you contact us direct. There are public toilets available in Mint & Lime - apologies again if this was not made clear to you. 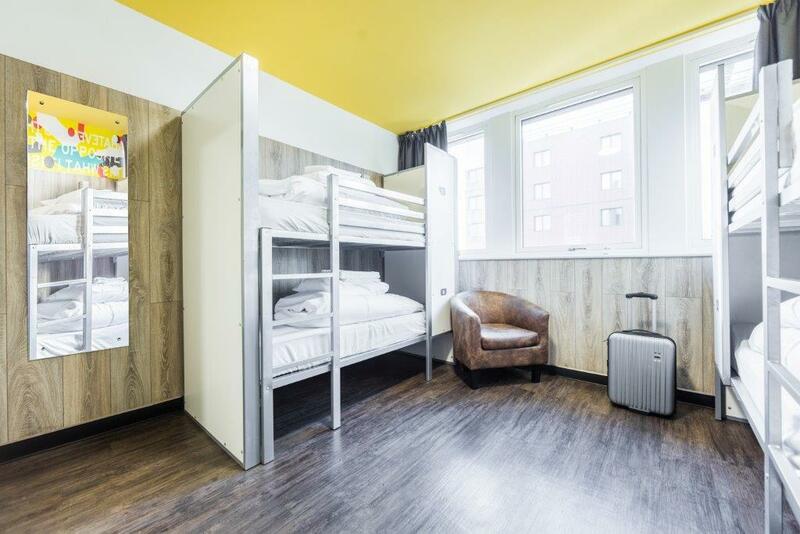 This is the only hostel in Glasgow city centre. I was upgraded to a four female ensuite room. The room is quite large with a bathroom and a toilet. We can see the river from the window. The kitchen is not that well equipped when compared to the hostels I have stayed. Also, it requires one pound (or two pounds, I can't remember..) to store a luggage. Good size room, clean and located near Glasgow Central station. Convenient to walk to Buchannan shopping district and eateries. Spacious lounge / living area and kitchenette for meals prep. Good value for money. Stayed in a twin room dorm for two nights, but should have stayed longer. 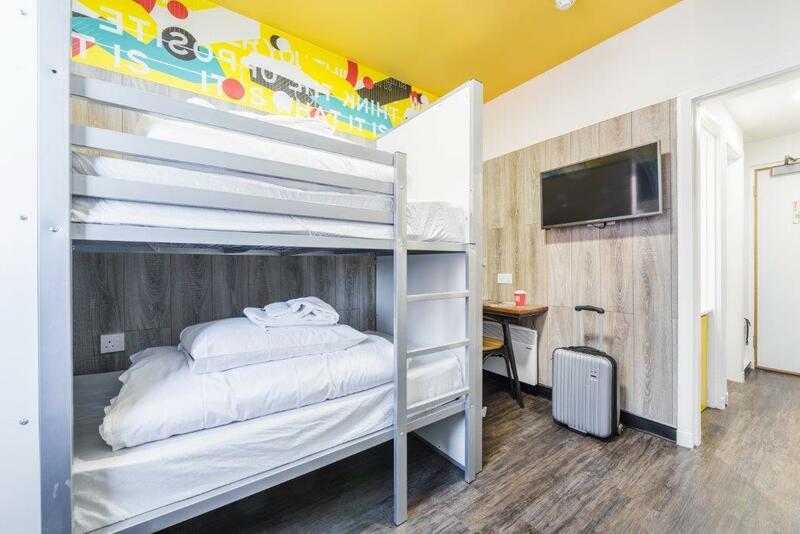 This is one hostel that is comfortable for a longer stay. I don’t know whose fault but that shouldn’t be mine. 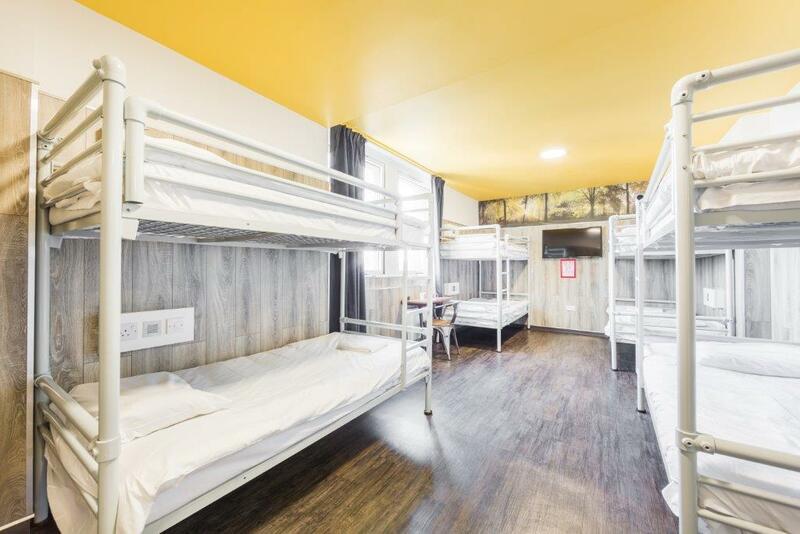 I have booked a 4 bed dorm on Agoda, but the hostel gave me 14 bed dorm which made me really disappointed. 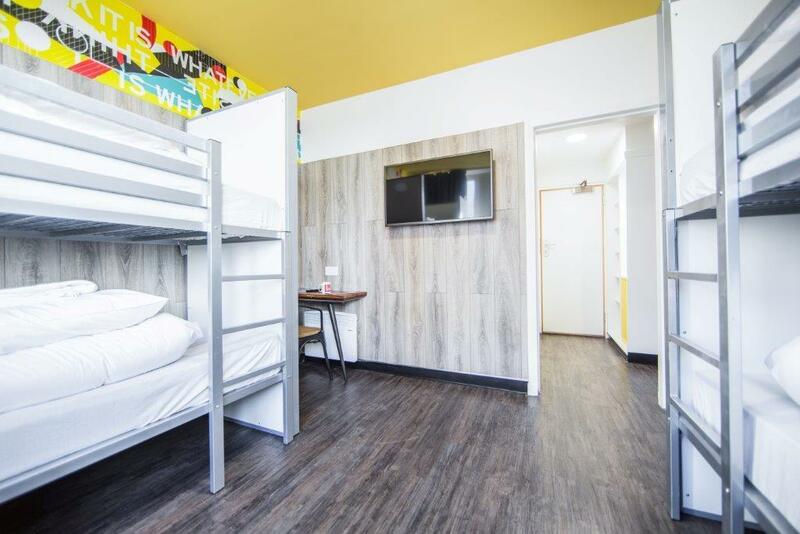 And the hostel reception said that what they have got from agoda, but they didn’t show me the booking information that they have got and reject my request that to have a copy of it. I have showed them my booking form which shows 4 bed dorm, they still insist and would not change the room for me unless I pay more money to get it. Anyway, I changed the room with additional fee. Because I prefer a quieter room after a long trip. I don’t know who should take this responsibility but it shouldn’t be me. Now I have to contact with the Agoda agent to discuss this problem without any strong proof and the hostel dosen’t help me! Ha, interesting. Well, anyway, the room is ok and clean. Everything is good in here. I am just complain with the booking and the check-in bug. Hi Yuchen, thanks for taking the time to review us. I can confirm to you that the email confirmation sent to us was for a 14 bedded dorm. If you would like to email us, Email can be found on our direct website, we can provide the information required. Basically I booked a bed in 4 beds room and received a bed in 14 beds room. I believe those rooms have different price too. I was too tired to go back to the reception, spend more time and get the correct room. Hi Mindaugas, apologies you had issues with the room type. This was down to an error with a third party website. Thanks for taking the time to review. Do apologies there was mix up with your payment, happy to hear it was rectified in the end. Huge thank you to Receptionist Irene, who showed John & l around all the facilities, rooms & informed us of various events that are often held in the funky bar / lounge area! I booked this place for my Sister Suzanne & her boyfriend Adam - they too thrilled at it! Superb value for money!!! Thanks for the review. We will certainly pass you lovely comments onto Irene. 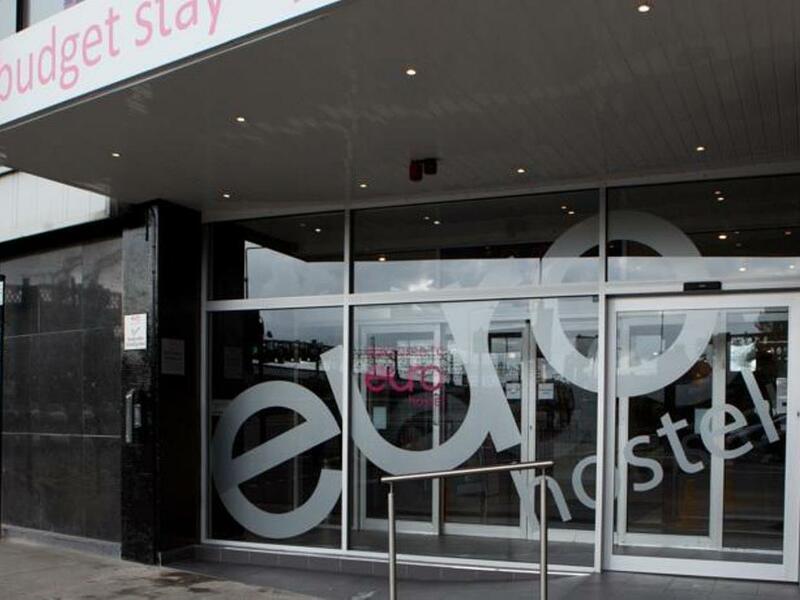 Stayed here with my son for one night after seeing Bruno Mars at Glasgow Green. The staff were all very friendly and helpful. The room was small but perfectly adequate for us. The location was perfect. Only approx. 15 min walk to Glasgow Green and the bus station. The bar that joined onto it was great too. Had a lovely very good value meal before the concert, and a great breakfast the next day. Can't fault the place at all. We stayed there two nights. Staff at the reception was very friendly and supportive. Breakfast was quite basic. Room was small but ok for us. It was quite noisy on the corridor and we could hear that through the door. 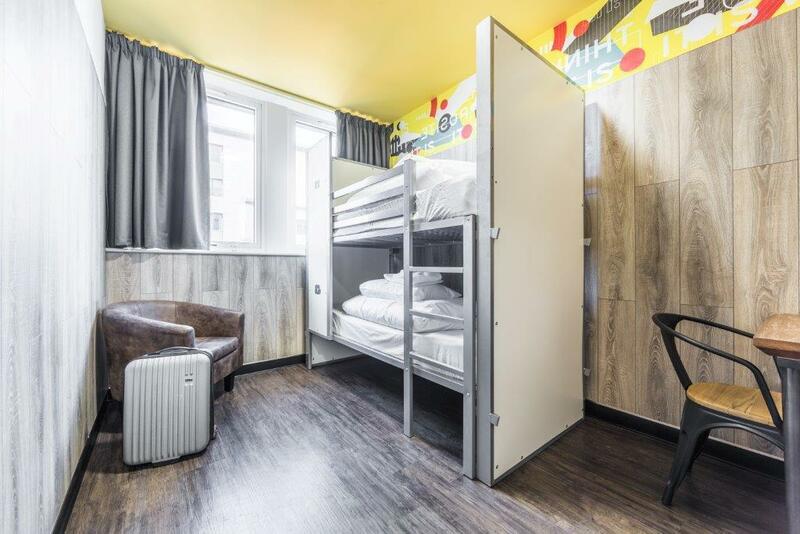 I was a solo traveller and I was so shocked about this hostel. Very clean, modern and comfortable. Rooms are big with 2 bathrooms and 2 toilets for 8 beds. The lights work well. There are also great facilities in the room such as TV, sofa, etc... Highly recommend! สถานีรถไฟ Glasgow Central - ระยะ 0.28 กม.